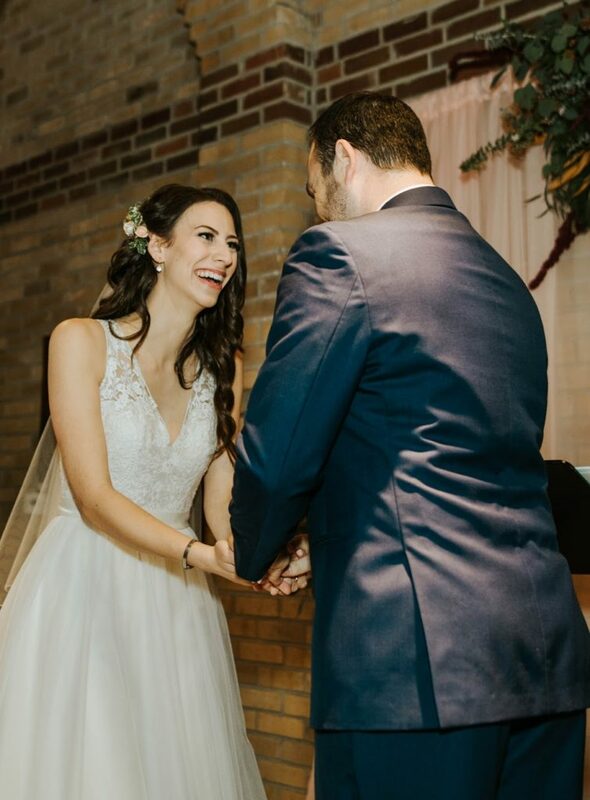 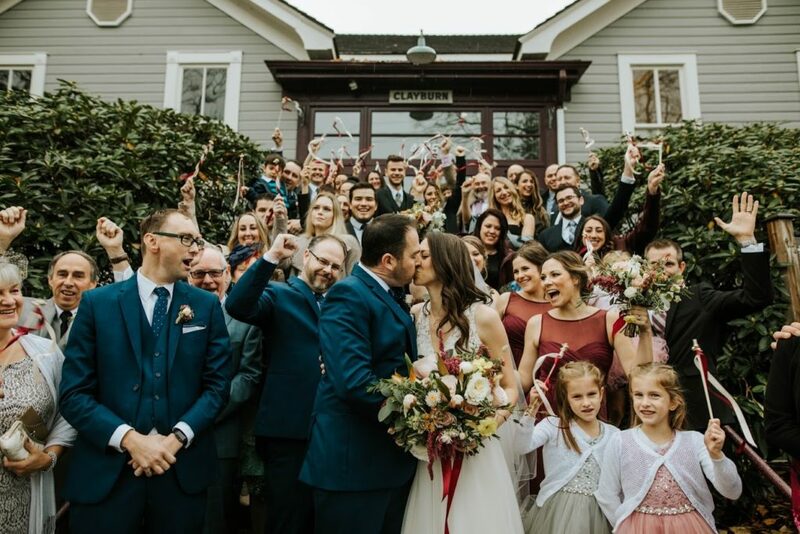 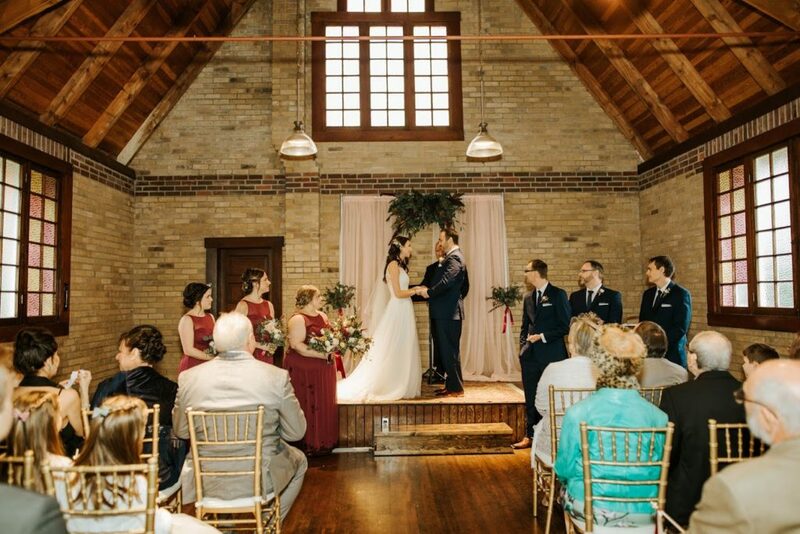 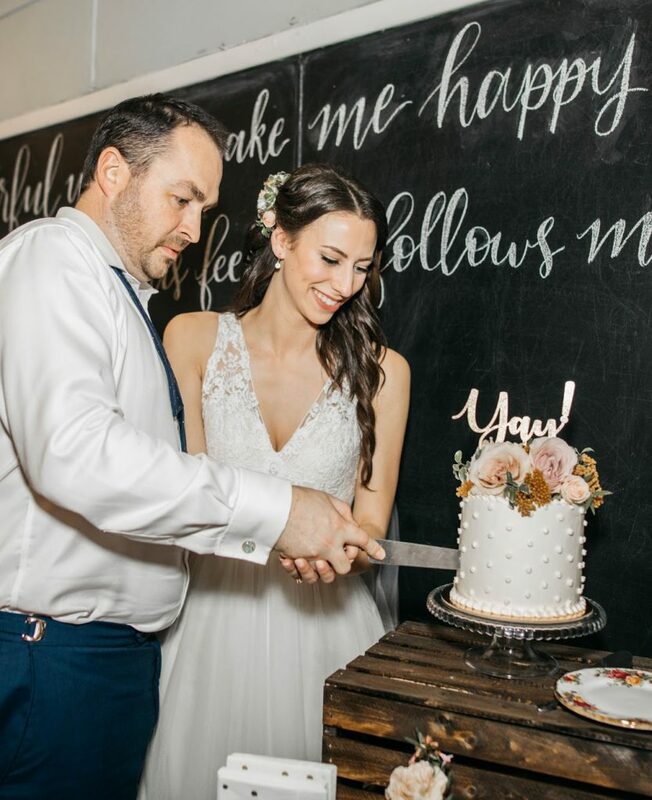 “We wanted our wedding to feel vintage, romantic, and playful with lots of texture, neutral tones and greenery,” says Alannah of tying the knot with her husband Andrew at the beautiful brick chapel located in the historic Clayburn Village. 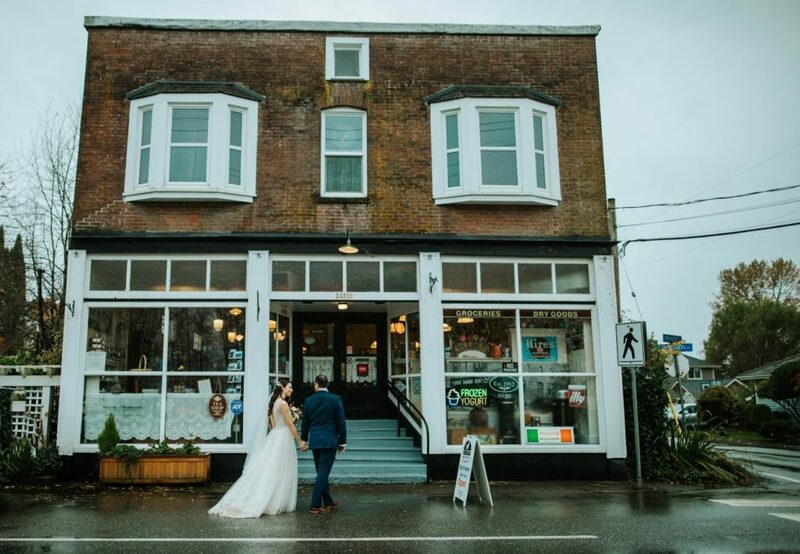 The ceremony was followed by a reception at Clayburn Schoolhouse in Abbotsford BC. 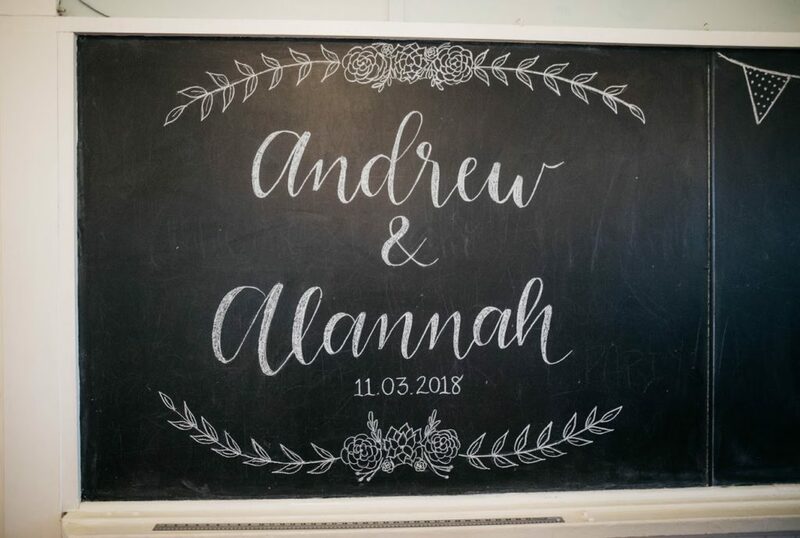 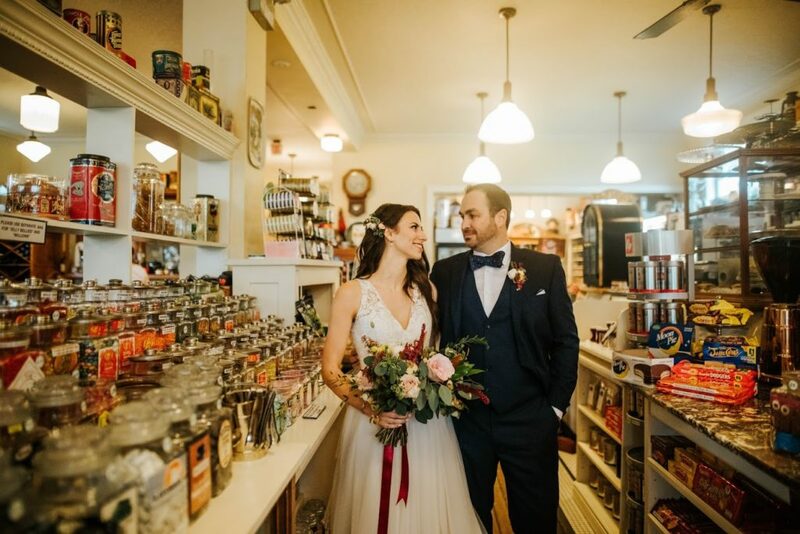 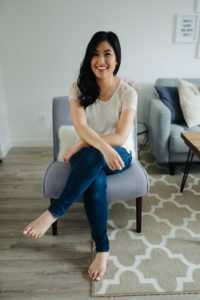 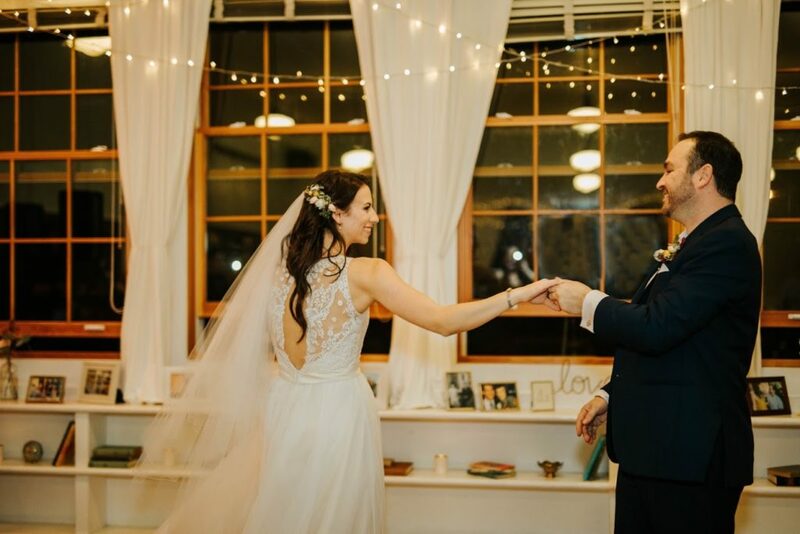 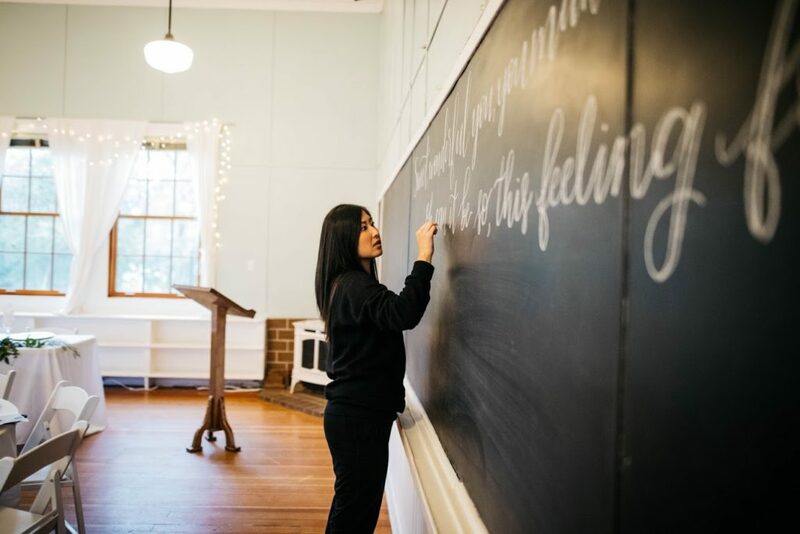 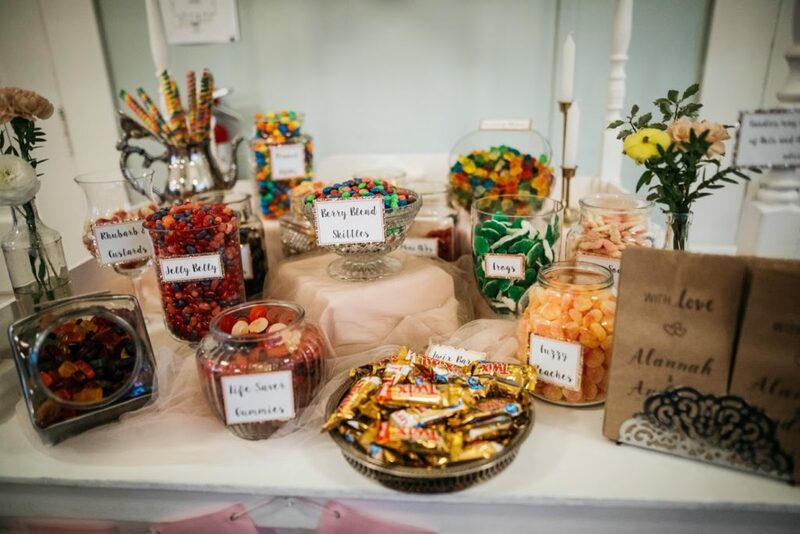 Alannah and Andrew chose to highlight their venue with vintage décor, photos of family, a candy cart, and chalkboard calligraphy by yours truly! 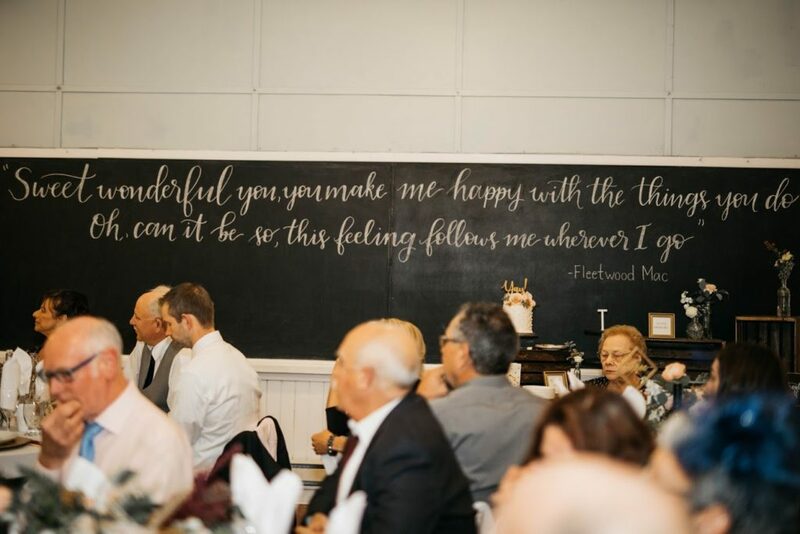 Alannah and Andrew chose for me to hand letter a quote by Fleetwood Mac on the large chalkboards at Clayburn because it was one of the first albums they got when they started dating. 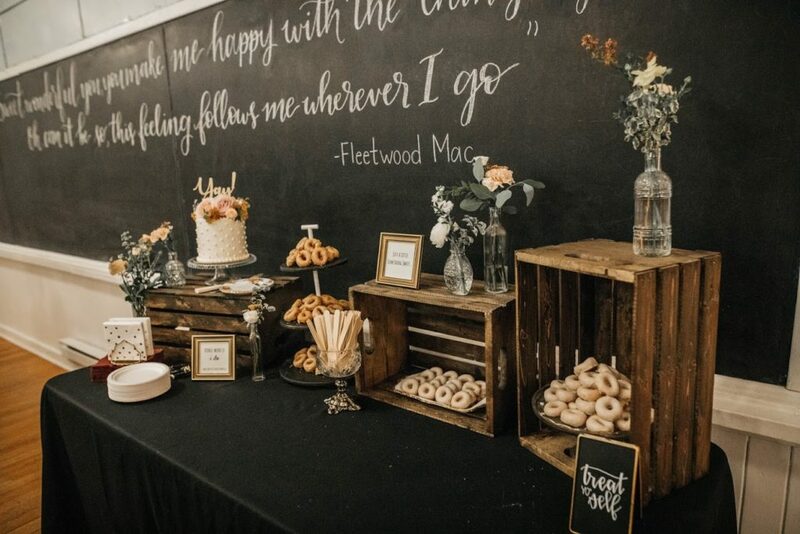 Here’s what Alannah had to say about her venue! 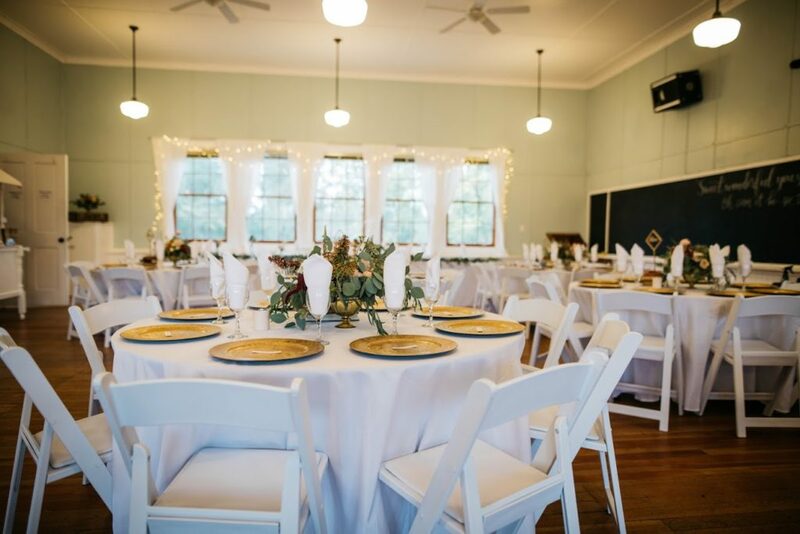 Florist – WallFlower & Co.